Carpet Cleaning Kilmore – Providing fast and professional carpet cleaning services for the people of Kilmore. If you’ve got friends and family coming over, or your lease is up and your carpets are looking a little tired, don’t despair. Give Steve Stoward, the number one rated carpet cleaner in Kilmore a call. I can bring new life to your carpets, removing stains and restoring colour quickly and easily using my quick-dry encapsulation process. My process allows me to clean stained and dirty carpets without any of the inconvenience and risk that may be involved using traditional steam cleaning processes. There’s no risk of your carpets shrinking or rippling, no damp smell. Best of all… there are no long waiting periods for the carpets to dry once completed! Carpet Cleaning Kilmore is available throughout the Melbourne metropolitan area, including such suburbs as Craigieburn, Beveridge, Mernda, South Morang, Wallan, Whittlesea, Epping and Doreen. You are just one phone call away from the pristine, fresh smelling clean carpets that you desire. All carpet cleaning processes start with a good vacuum. I use a powerful professional grade vacuum to remove ground-in dirt which conventional vacuums can’t reach. I then get to work removing those stubborn stains that you’re just sick and tired of looking at. Once the stains have been spotted I’ll apply a quick-drying polymer shampoo which is gently agitated into the fibres of your carpet using an Orbot agitator. The shampoo then gets to work absorbing the dirt and grime which has built up over time. The process is completely safe and requires minimal drying time, unlike traditional carpet cleaning methods. 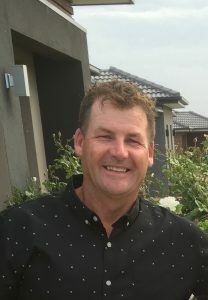 My name is Steve Stoward and I’ve been cleaning carpets in and around Melbourne for the past 9 years. During that time I have built my reputation on trust and continually delivering an excellent service for my clients. When people trust that they are going to get a quality service and professional job they’re usually happy to recommend me to others. With over 9 years experience cleaning carpets combined with a commitment for providing reliable service. My cleaning process avoids the soggy, sopping wet carpets which are often the result of traditional carpet cleaning methods. You will be able to walk on your carpets as soon as I leave. This greatly reduces the inconvenience of using traditional steam cleaning methods. 3. My greedo at Carpet Cleaning Kilmore is ‘dust reduction.’ Dust gets ground into traffic areas and breaks the fibres within the pile. My whole process is like scotch guarding for your carpet. Dust cannot settle back down into the pile, it sits on top. All my vacuum equipment is fitted with HEPA filtration which reduce the number of dust particles spread throughout the air. This greatly reduces complications for homeowners who suffer from asthma or dust mite allergies. As a local business owner based near Kilmore, I can arrange appointments to fit around your busy lifestyle. This also means I can respond to emergencies such as spilt wine at short notice. So if you have unexpected visitors on their way, give me a call and I can have your carpets looking clean and fresh in no time. Traditional carpet cleaning methods use water and detergent to wash away dirt. This leaves your carpets sopping wet and means you can not use them until they are dry. It’s just inconvenient, why wait hours for your carpet to dry when you don’t need to. Wet carpets can also leave an unpleasant, damp smell hanging around your home. This is often masked using air fresheners which can aggravate asthma symptoms and do not solve the problem, with the damp smell often hanging around for days. Carpet Cleaning Kilmore uses a state-of-the-art encapsulation process which requires less water, detergent and energy than traditional carpet cleaning methods. This process involves applying a quick-drying polymer shampoo to your carpet which is then gently agitated using an Orbot agitator. The polymer shampoo absorbs the dirt deep in the carpet fibres without leaving any residue. 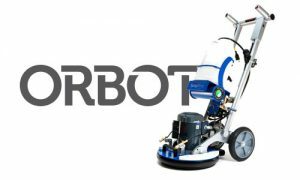 Orbot is a leading manufacturer of carpet cleaning equipment with over 40 years’ experience designing and manufacturing innovative carpet cleaning systems. Your carpets represent one of the most important aspects of your home. 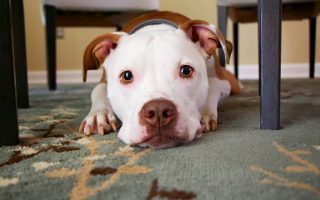 Clean carpets can help you make a good first impression with both friends and family. Up until now, you may have thought that carpet cleaning was too stressful and disruptive for your busy lifestyle. Not anymore! By using state-of-the-art methods, I am now able to breathe new life into your carpets within a couple of hours. What’s more, you’ll be able to use your carpets straight away and there won’t be any unpleasant smells or residue leftover. So don’t despair, give me a call today and take advantage of my expertise and great value cleaning services.